Pioneer’s range of ground-breaking Kuro TVs will be largely unaffected by the company’s announcement today that it is to cease plasma panel production. UK PR Fiona Pinkney has confirmed to TechRadar that the eagerly-anticipated G9 (9th generation) TVs will arrive in May as planned. The only change for the G10 sets (due 2009) will be that the plasma panels inside them will be sourced from a third-party manufacturer, rather than being made by Pioneer itself. Going to a third-party for a big chunk of the tech inside your TV looks surprising, but is actually pretty common – Sony uses LCD panels made by Samsung, for example, Philips has a tie-in with LG, and we've even heard of companies who've sourced panels from five different makers and then used them in a single TV model. In truth, the panels are just part of the TV's make up - Pioneer estimates between 30 to 40 per cent - and that makes a significant difference for any TV maker, but particularly in Pioneer's context given the announcement it made today. That’s because the interesting bit of the tech that goes into TVs these days is usually concerned with how you ‘address’ that panel - how you get it to do what you want it to do - whether it's an LCD or plasma. That explains the sometimes bewildering array of proprietary technologies - like Sony's Bravia Engine or Philips' Pixel Plus HD, for example - that actually make the difference to the picture quality you experience when sitting on your sofa at home. “We’re not stopping Kuro. That’s not what is happening. Pioneer Japan has been losing money on the panel production side and we’ve had to see what we can do to turn that around. Given that that's the case and that both Fujitsu and NEC have pulled out of panel production in recent years, Pioneer's move looks like a smart one - even if it has been made in the nick of time. 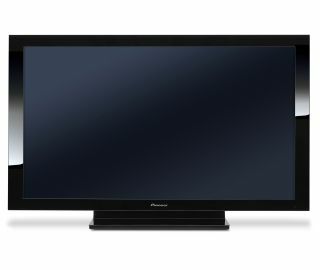 Pioneer now has a choice of plasma panel makers to which it can turn, with Panasonic the most likely to enter the frame. A tie-up with Sharp last year also enables Pioneer to dip its toes in LCD waters for the first time - satisfying demand for smaller TVs by Pioneer loyalists, and also throwing the company a lifeline in a fiercely competitive market. Pinkey confirmed to TechRadar what we already know: that Pioneer-branded LCDs TVs will definitely be coming to Europe late this year, and that they won't be replacing Kuro plasmas at larger screen sizes. “It’s a time of change. It’s a good time to be a consumer. There’s a great choice of products out there, no matter what your price bracket. Some manufacturers are coming into this market and are making very cheap sets. Pioneer is about the opposite of that. It’s a case of you get what you pay for.